Australian Addiction Treatment Centre Shalom House Claims to be the Strictest Rehab Centre — But Does it Work? 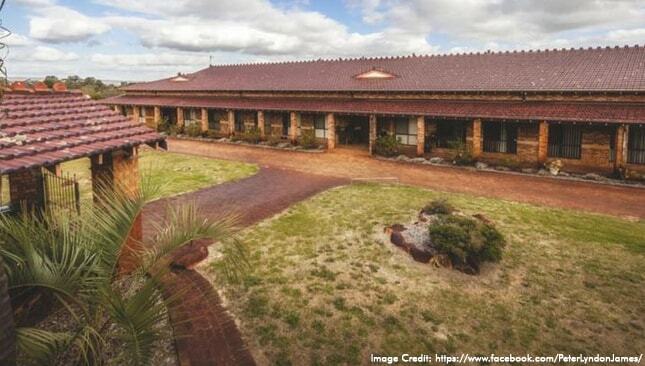 Shalom House, an addiction treatment centre in WA, claims to be the strictest rehab centre in Australia, but it is missing several key components of treatment. Shalom House Rehabilitation Centre in Swan Valley, Perth, WA is hailed as the “strictest rehabilitation centre in Australia.” Shalom House is an addiction treatment centre that has a 3-stage approach to recovery that includes carefully monitored and scheduled chores, community involvement, and employment. The men’s drug and alcohol rehabilitation centre was founded in 2012 by Peter Lyndon-James, who after experiencing a life of incarceration and drug addiction, felt the need to help others who had experienced similar traumas. Lyndon-James saw the need to create a live-in rehabilitation programme for men who would benefit from individualised attention and support to rebuild previously damaged lives. Lyndon-James entered into the prison system at the young age of nine when his family unit crumbled and he was left with no safe alternatives to a normal childhood. From the age of nine, Lyndon-James spent the next 26 years of his life in and out of prison for his involvement in drug and firearm possession. After Lyndon-James’ last prison sentence, he decided that it was time to make a positive change in his life. His decision to create a better world for himself took him to Bible College, where after three years he received an advanced diploma in theology. He then spent the next five years of his life volunteering as a chaplain at a local prison. Lyndon-James furthered his mission to help those who had similar life experiences and were still struggling to overcome their personal traumas and addictions, by purchasing a halfway house in Perth. He wanted a space where he “could help people make the right choices.” The halfway house quickly grew into a cornerstone of the WA recovery circuit, before Lyndon-James developed it into a men’s addiction treatment centre in 2009. The Shalom House addiction treatment centre has a strictly regimented programme that tenants must abide by, starting with a three-month introduction into life at the House. Stage 1 of rehabilitation at the Shalom House requires that all personal belongings be taken away from tenants, everything from their cellphones, to books, to drug replacements. Clients are scheduled to work on maintaining the property and volunteering at local charities. The purpose of the first three months in the rehabilitation programme is to have tenants’ bodies adjust to sober living and full-time activity. Stage 1 at this addiction treatment centre is the detoxification period, where clients quit drugs and alcohol cold-turkey. Though detoxification is necessary for drug and alcohol addiction recovery, quitting cold-turkey can be a very dangerous practice. Drug and alcohol abuse alters brain activity, re-programing your mind to seek out and rely on substances which is referred to as a psychological dependence. However, some substances such as alcohol cause a physical dependence, and suddenly stopping these substances can cause several negative effects including seizures, increased heart rate, tremors, and hallucinations. In more severe cold-turkey detox cases, addicts can experience delirium, and if not properly monitored by professionally trained medical staff, cold-turkey detoxification can lead to death. Without the support of medically trained professionals who can administer medication to reduce the stress and physical dangers addicts face when detoxing, the risk of relapse is higher. At times it is necessary to prescribe medication to help alleviate the physical symptoms of detoxification, as these symptoms can make many addicts lose their determination to recover. In quality rehabs, medication to help with detox is strictly monitored in order to prevent the addict from becoming dependent on a new drug. Stage 2 of the Shalom House addiction treatment centre’s programme sees the reintroduction of books and movies, as well as more hours working within the community and visits home are allowed. However, physical activity and exercise is still not permitted after the detox stage, as Lyndon-James wants tenants to focus their rehabilitation on communication, relationship building, and action. Apart from a treadmill in the house, Lyndon-James is firm on minimalising the egos that he claims are associated with keeping fit. Similar to having trained medical professionals available during detoxification, physical activity and fitness are important aspects of a healthy recovery. Exercising releases stress-fighting hormones that help you feel good naturally after increasing your heart rate. Focusing on feelings of natural happiness can help reduce stress, anxiety, depression, chronic pain and fatigue — all symptoms that are often experienced during rehabilitation from drug and alcohol abuse at an addiction treatment centre. In a study specifically relating to alcohol abuse, Dr. Angela Bryan states that exercise “might also help to repair the damage that may have been done to the brain”. She further explains that exercise has a dual-function in recovery, it acts both as a behavioural treatment and repairs damage that was done to the brain from heavy drinking. The third and final stage of the Shalom House addiction treatment programme reintroduces tenants back into the community, balancing worklife outside the house with being a contributing staff member in the house on weekends. Though the Shalom House has a high success rate, with only a few people leaving before the end of their recovery programme over the last three years, the Shalom House is a very strict and regimented recovery programme that does not incorporate much variety of treatment methods and thus may not suit everyone’s needs. Little focus on both medical and psychological counselling, combined with limited opportunity to incorporate physical activity, many may struggle with relapse and long-term recovery after the programme has been completed. The Cabin Sydney, in comparison, is a world-leading addiction treatment centre in Sydney, where a full assessment is provided to each client in order to address specific recovery needs including mental health concerns and dual-diagnosis addiction treatment. Using a well-rounded and holistic approach to treatment, including psychiatric and medical reviews, individualized and group therapy, and in some cases, inpatient care, The Cabin’s addiction treatment centre in Sydney offers a comprehensive and incredibly effective treatment programme. If you or a loved one is struggling with addiction, and unsure of where to start, contact us today for your assessment and you can start your journey to addiction recovery immediately.